The 1892-O Micro O Barber Half is a rare and interesting coin. 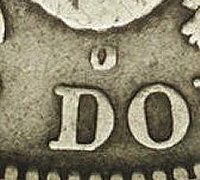 It was evidently created when a single reverse die inadvertantly had the mintmark created by using the mintmark punch intended for the quarter. The problem was apparently discovered early in the production run and the faulty die immediately pulled from use, although some of the coins already struck were released into circulation. The first specimen was identified as early as 1893, and over the next few decades, only a precious handful were discovered. Today, only a few dozen are known. 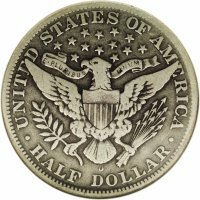 Like the normal 1892-O, most surviving pieces are either in very low grades, or in or close to mint state, with very few extant in middle circulated grades. The finest known example is the Eliasberg-Dale Friend coin at a very lofty MS68, as certified by PCGS. In fact, it is easily one of the finest known Barber Halves of any date! Since most people have never seen one of these rare coins, sometimes there is some doubt by a collector as to whether a coin has the normal "medium" O or the rare Micro O. Below, images of both varieties are shown. 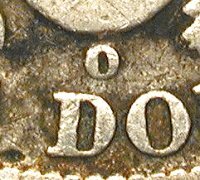 Note that the Micro O's mintmark covers far less than half of the gap between the tail feathers and the top of the letter D.
The best comment that can be made is that once you have seen a real Micro O, you will never be confused again!